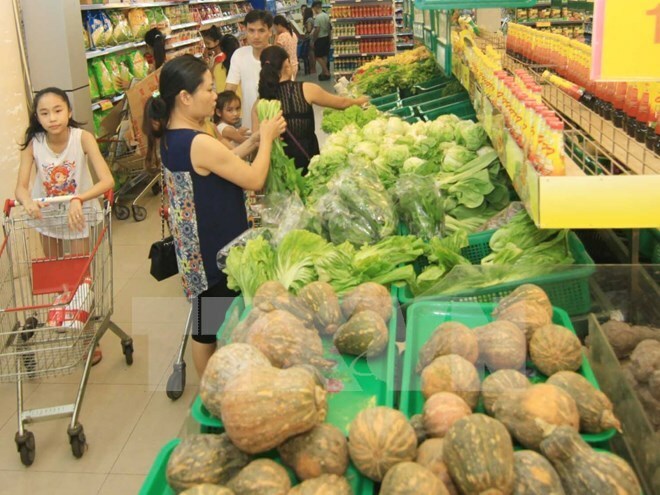 Hanoi (VNA) – Vietnam has formed 280 safe food supply chains in 35 provinces and cities with main products including vegetables, fruits, tea, meat, eggs and aquatic products. The figure was released by the National Agro-Forestry-Fisheries Quality Assurance Department (NAFIQAD) at a workshop in Hanoi on May 9. A safe food supply chain is a collection of factors that have strong, stable and sustainable economic connections and comply with food safety regulations. All of them apply good agricultural practices to create safe products with origin traceability. The NAFIQAD said all of the production and business facilities in those supply chains have high sense of responsibility in doing the good practices. Their products have gradually gained a foothold in the market and are sold at higher prices compared to normal ones. Pham The Cuong, head of the NAFIQAD’s sub-department in Son La province, said his agency has closely monitored local farmers’ agricultural practices so as to successfully create safe food supply chains. It has overseen all steps, from choosing varieties, irrigation, fertilising, using pesticide to preliminary processing. Its staff members must monitored continuously until farmers get used to and are willing to do the good practices. Son La province has determinedly refused to buy products that fail to meet standards, Cuong added. The NAFIQAD pointed out challenges such as the lax connectivity in some supply chains, a lack of product diversity and high expenses of supervision and packaging.